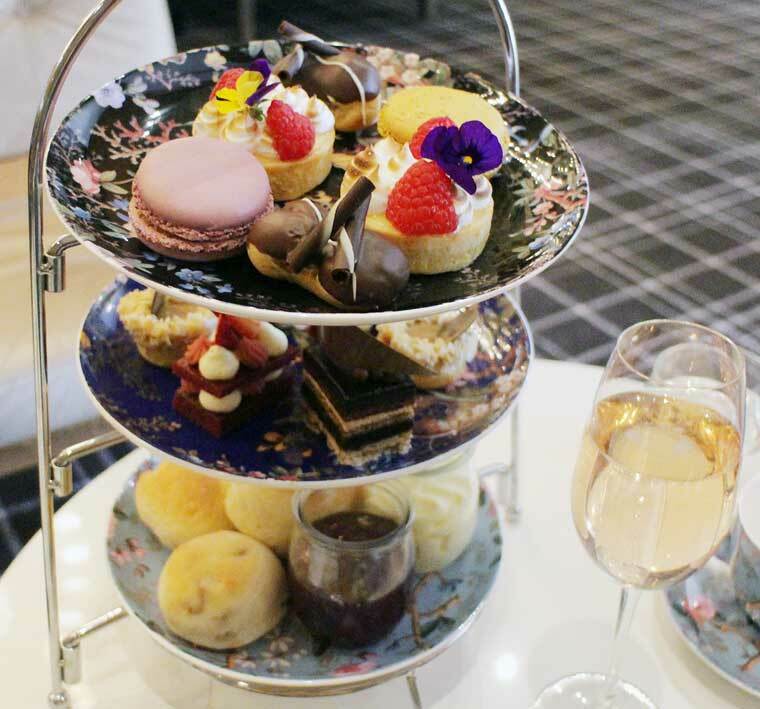 In 2015 the Hilton Adelaide spent $5 million on renovations in the Restaurant and Lounge which is now, Coal Cellar and Grill and the venue for the High Tea. The money was well spent. The Adelaide Hilton Coal lounge has comfy chairs, lots of space and the piano player tinkling the ivories in the background. It’s a pleasant atmosphere for the new season High Tea to be held on weekends. The High Tea was off to a great start with their absolutely gorgeous floral teacups, plates and saucers with the Maxwell and Williams, Victorian Garden, William Kilburn collection. When I got home, I madly googled where to buy them. I certainly need them in my collection! We were welcomed to the High Tea with a glass of Serafino Sparkling Wine from McLaren Vale. The La Maison Du The’ (Tea) is a really nice full bodied tea with many types on offer including Earl Grey, Peppermint, English Breakfast and Green Tea. I also had an Almond Milk Hot Chocolate which was nice too. You can also order Coffee. 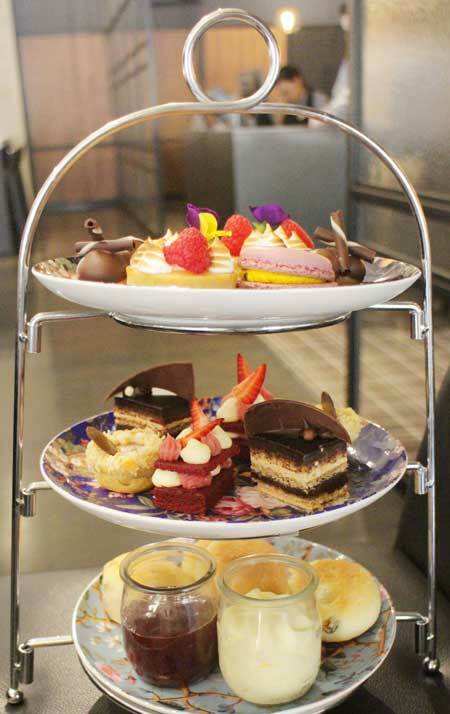 The menu of the Hilton Adelaide High Tea was traditional with a modern take. First up was the house made Pork sausage roll. It was flaky, buttery and melts in your mouth. The Chicken Brioche sandwich was a lovely classic dish with the additional of the sweet roll. The mini Smoked Salmon and Avocado bagel was really fresh and tasty. All of the sweets were really fresh and made in the Hilton Adelaide kitchen. The stand out dishes for me was the Hazelnut Paris Brest. This is a French dessert made out of Choux pastry with a Praline flavoured cream. This was really delicious and moreish! It was good to see Red Velvet cake on the menu, also. It was perfect and moist with right amount of light Chocolate. It’s a tricky cake to make, but so worth it! The only elements of the High Tea ordered off site are the macarons. They were really chewy, which is the way they should be! The scones were fluffy and buttery with fresh cream and jam with a choice of plan and sultana. It was a really lovely High Tea in a nice setting! Definitely worth tasting for yourself. The Adelaide Hilton Collins Bar is next door so you can have a cocktail afterwards. I’m still trying to find the gorgeous tea cups to buy though! I’m looking for the dark blue one if anyone knows where to find them! Please advise of dietary requirements when booking. $49 includes tea, coffee and a glass of sparkling wine on arrival.